Just thought I’d give this event a mention. Part of Liverpool Comedy Festival. Comedic trailblazers Funny Women come to the Liverpool Comedy Festival for the first time on Thursday 13th May 2010 as they tour their unique annual competition, the Funny Women Awards, for the eighth year running. 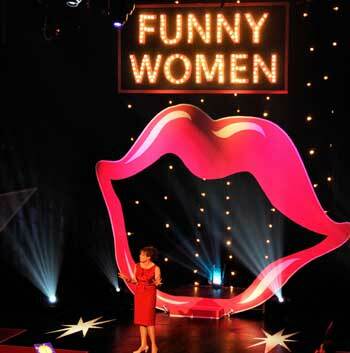 The Funny Women Awards are open to any woman who can perform comedy in front of a live audience. The producers and judges are looking for stand up, impressions, sketches, characters, musical comedy, ventriloquism … Anything – as long as it’s funny. Last year the competition attracted over 250 entrants and there are half that amount already registered for this year’s Awards. Up to 24 acts will be selected from across the UK to take part in the semi finals on Monday 6th September, with 12 acts going on to perform at the charity final on Monday 20th September. Both the semi finals and the final take place at the one of London’s most exciting new comedy venues, the Leicester Square Theatre. Hosting the Unity Theatre heat will be multi-award-winning comic, playwright and author Janey Godley, who headlines a bill of exciting new female comedy acts from Liverpool and the surrounding area. Anybody wishing to enter the Liverpool showcase should now register on-line as soon as possible at www.funnywomen.com to guarantee a place.